Sega has been a player in the video games business for quite a few decades. And yet, they still never really manage to get a strong grip. They almost had a huge run with Sonic, but he was quickly bested by the plumber in the red overalls. Enough with the past, Sega is back and ready to rise to the occasion. The 2020 Olympics will be taking place in Tokyo next year. Besides already holding the licenses, Sega is taking this opportunity to try to make waves. First headlines were made with eh announcement of “Olympic Games Tokyo 2020 – The Official Video Game”. Coming to Playstation 4 and Nintendo Switch worldwide. Sega has gone on the record calling this new title “A fun-filled sports action game where you create your avatar and compete in olympic events. That’s right, you too can go for the gold from the comfort of your living room! Next, they announced the release of a brand new Mario & Sonic at the Olympics. It’s been a long 4 years since the last time we’ve seen these athletes on the field. Mario & Sonic at the Olympics 2020 looks much like past iterations but this time will have mini-games for your Joy-Cons. The only real question here is; will this game feature the movie versions of our two cover stars? For those of us who have become avid mobile gamers Sega’s got something for you too, because mobile gamers count. Mario & Sonic will be attending the Tokyo Olympics on iOS and Android as well. Assuming the game will borrow some Joy-Con features and optimize for touchscreens, this will most likely be super casual. I’m predicting for sure at least one Temple Run style track and field game. Actually, bets are open. Not excited about the Olympics!? Fine. Fear not friends who could careless about professional sports or sports simulations. Or emotionless monsters who can’t find the humor in the “world’s fastest hedgehog” racing against the “most hard-headed plumber of all time”. There is some retro based good news. Sega is bringing a new challenger to the mini console revolution. 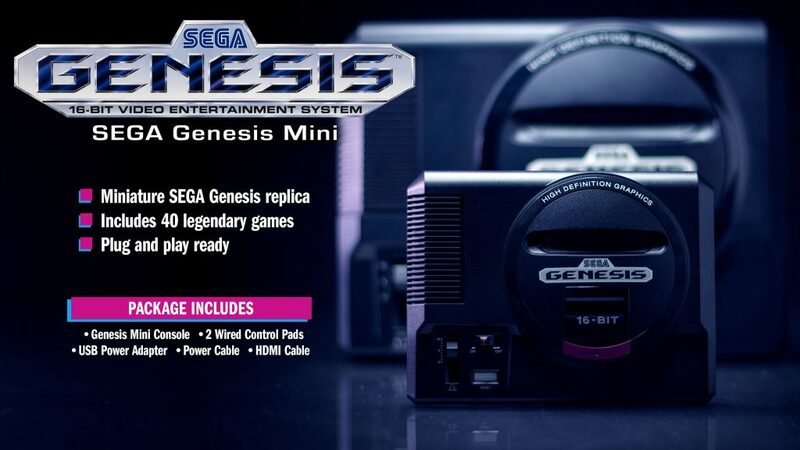 The Sega Genesis Mini will be available on September 19th, 2019. Retailing at the great price of $79.99 the mini console will feature 40 classic games including Sonic (of course), Castelvania, and Ecco the Dolphin. For the record, Ecco the Dolphin is the second most exciting part of this for me. What’s the first? Well I’m glad you asked. So far, 10 of the 40 games have been announced and one of those game is, Comix Zone. Need I say more? The console itself is reportedly about 55% smaller than the original and comes with two usb powered replica three button controllers. Also packed into the box is a USB to Micro-B cable for power and an HDMI cable for graphic fidelity. Because as we all know, it’s not a retro remake unless it’s in HD. 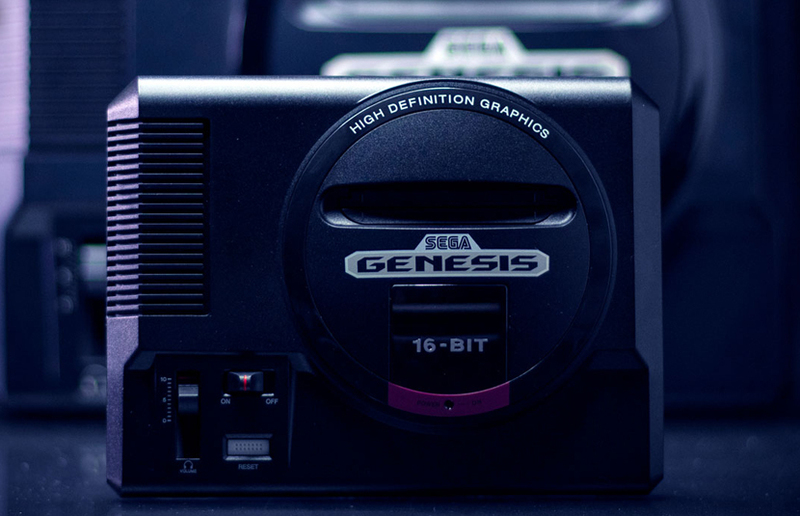 What are some of the found memories you hope to relive with the Sega Genesis Mini? And for those excited for the olympics, what’s your favorite thing to have Mario beat Sonic at? And for everyone else, sorry you stuck around for that Vanquish sequel reveal. Believe me, you are not alone.